I like it when you call me big Pomp-a. But really, when Shonda Rhimes finally kills off Meredith, it’s going to be truly epic. 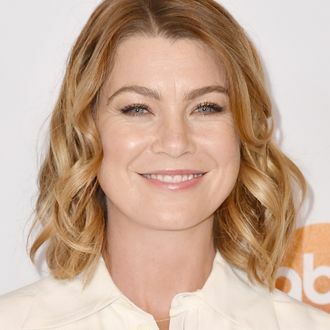 According to Entertainment Weekly, Ellen Pompeo has signed a new deal to extend her contract with Grey’s Anatomy. Though they didn’t offer the particulars, EW also noted that the parameters of her new agreement now make Pompeo “one of the highest paid actresses on the small screen.” Wow, can you even imagine what sort of miserable things Meredith Grey has yet to go through on this show? No, seriously, try to imagine it. It’s impossible. Are they just going to start repeating ferry accidents?